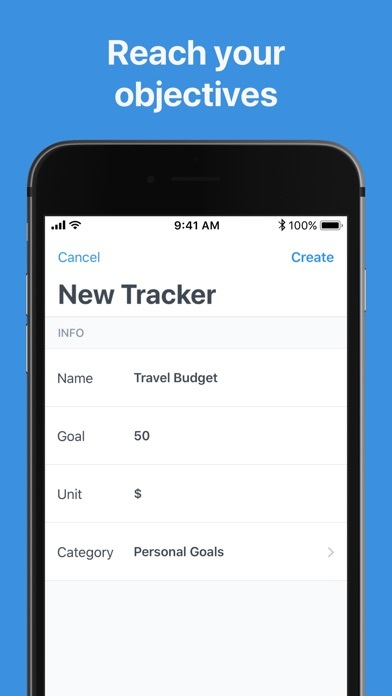 Goal Tracker helps you keep track of what matters to you. If you're trying to reach a goal, or just stay on point, it is important to visualize your progress. Making immediate adjustments so you don't diverge from your course too much is crucial to completing your objectives. Beyond creating habits, it's about surpassing them. 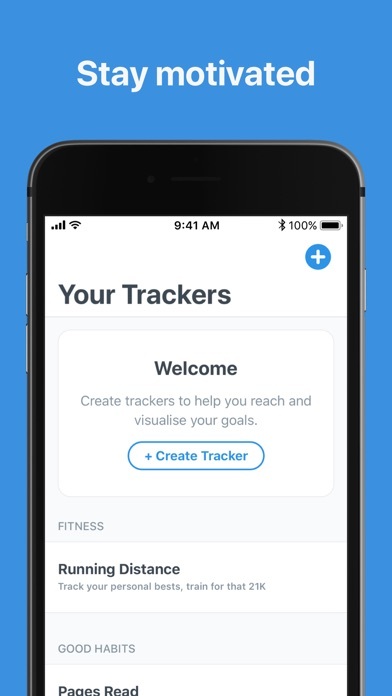 Discover your quantified self and get excited every step of your journey. 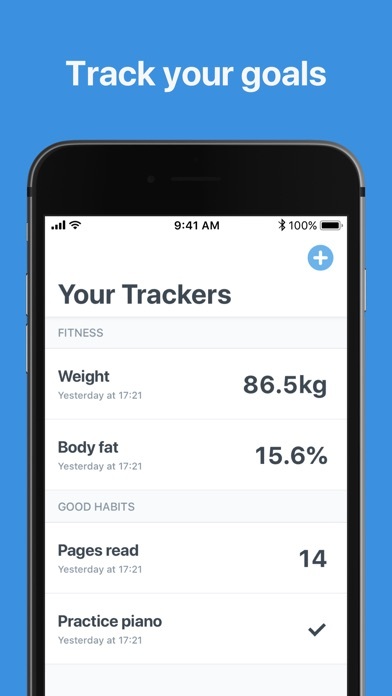 You can track anything: - Fitness: weight, measurements, personal records - Good Habits: reading, meditation, water drinking - Personal: spending, hours slept, travel budget, investments - Work: articles written, Your data is yours. 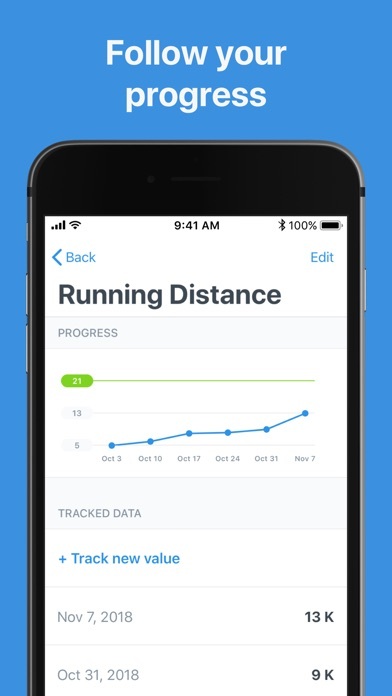 Everything is done on device, offline, no data is shared with Goal Tracker.